Corporate social responsibility (CSR) has been a growing strategic trend among companies, in the hopes to improve their brand outcomes and performance. However, despite the growing investment in such strategies, relatively little is known about how consumers respond to corporate social responsibility activities. Recently consumers started questioning whether socially responsible actions are authentic—i.e., companies are legitimately concerned with the causes they advocate—and whether these same actions are in the core of what companies provide to the market. We are especially interested in the effect that corporate social responsibility actions exercise over brand symbolism (i.e., a brand’s potential to serve as a resource for identity construction by providing self-referential cues representing values, roles, and relationships), which, in turn, is related to a consumer’s emotional attachment to a brand. Not all CSR actions positively affect consumer behavior and brand performance. For instance, past research shows that CSR activities can have a negative or a positive impact on perceived performance, depending on company motivation. We unfold and expand on this last finding to show that CSR actions that are unrelated (vs. related) to a company’s core competence (e.g., helping the local community) increase perceived brand symbolism, which will, ultimately, influence behavioral intentions. This research analyzes how unrelated corporate social responsibility (CSR) actions influence brand symbolism. 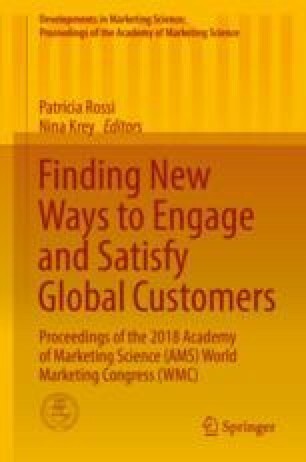 This research contributes to previous studies showing that CSR actions unrelated to the company’s core business (i.e., with a community focus) have a greater appeal than actions with a focus on company’s core competences (i.e., focus on the consumer). Results from four studies show that CSR actions unrelated to the company’s core business, counterintuitively, increase brand symbolism, which, in turn, influences consumers’ behavioral intentions. We propose that unrelated CSR actions can positively influence consumer perception of brand social responsibility and increase brand symbolism, generating positive behavioral outcomes. The findings have important implications for brands that wish to invest in corporate responsibility.